I hope you’ve had a good week. I spent a fair bit of the weekend catching up on housework after doing very little since Xmas. One thing I love about camping is that the housework is done in 5 minutes and someone else cleans the toilets and the showers! Now it’s back to vacuuming, mopping and dusting. Oh well, I know that I’m blessed to have a house to mop and vacuum. And I do love my big comfy bed. We’re also getting quite close to finalising the floor plans for the new house we’re building this year so that’s exciting. Prof Gotzsche confirms the work of Gwen Olsen who was as a pharmaceutical drug rep for many years before becoming a victim of the over prescription of psychiatric drugs. Gwen is now a strong critic of the practices of drug companies. You can watch Gwen’s story “Confessions of an Rx Drug Pusher”, HERE. Prof Gotzsche also confirms the work of Robert Whitaker who wrote “Anatomy of an Epidemic.” which I read recently. This extensive exploration of the history of pharmaceuticals, research studies and patients stories shows how psychiatric medication has contributed to (if not created) our current epidemic of anxiety, depression and psychiatric illness rather than reducing it. In 1995 a six year study of 547 depressed patients showed that those who were medicated were 7 times more likely to become incapacitated than those who weren’t. In another study 40% of schizophrenic patients on no medication recovered vs 5% of the medicated patients. Psychiatric outcome are better in poor countries with less access to drugs. It’s quite disturbing. As well as psychiatric drugs being a problem it’s well known that in America medical “care” is the third leading cause of death after heart disease and cancer. That’s a staggering indictment and up until recently no-one has questioned it. Its concerning that the US spends more on healthcare than any other country but their infant mortality ranks higher than 25 other countries. Even when correctly prescribed and correctly taken 2 million people in Australia have an adverse drug reaction each year. 138,000 of these people require hospitalization. Often when people start on a prescription drug they are told they need to stay on it for life. When this happens the adverse reactions are slow and chronic. Our Naturopath has had a number of clients whose digestive systems had been severely damaged because of taking Nexium for years, for example. An enlightened doctor will prescribe very cautiously, aim for the medication to be taken short term and then work with a patient to help them understand and implement the lifestyle changes needed to get off that medication if possible. As a society we have been hoodwinked by falsified research funded by the drug companies and have we been the guinea pigs of drug testing on the general population. Unfortunately doctors and patients alike have a belief that there’s a drug or a potential drug to cure any health issue, we just have to throw enough money into the research and we’ll discover it. The truth is that drugs can never “cure” a disease. They can suppress the symptoms and prolong life but in 80% of all diseases giving a drug is simply treating the smoke rather than putting out the fire. It doesn’t fix the cause. And the long term use of any prescription drug will eventually create other health problems. I recently had a client who was taking 10 prescription drugs. He was a very unwell man and it seemed that instead of his treatment “curing” his health issues each drug was creating the need for another. Although they can play a vital role in keeping someone alive, it’s important to understand that ALL prescription drugs are dangerous. If they weren’t dangerous they wouldn’t require a prescription. Every prescription drug depletes the body of essential nutrients in some way. My client was on medication for cholesterol, gastric reflux, high blood pressure, a heart condition, insomnia and depression. The medications he’s on are known to reduce Vitamin D, CoQ10 and testosterone among other things. He came to me because he lacked motivation and was struggling to get out of bed in the morning. I can’t help thinking that if I was taking 10 prescription drugs, I’d struggle to get out of bed in the morning too! My dilemma is that I believe it’s important to focus on what we DO want and not on what we DON’T want. I don’t like fear tactics and I know that worrying about something and getting angry about it doesn’t fix it. But… believe it or not, Louise Hay, the Queen of Affirmations has said that, “In order to clean the house you need to see the dirt.” So I’m letting you know about “the dirt” and giving you some evidence to wake up to what’s really causing the health crisis. Now as well as creating awareness of the “dirt” I always like to look for and share the solutions. In the US there’s a groundswell of doctors who are waking up to the role of nutrition, toxicity, stress and lifestyle. These enlightened doctors are abandoning the US health system and setting up what they call Cash Practices outside the current medical system. These doctors are educating and empowering clients, spending quality time with them and really listening to their story. They’re discussing nutrition, stress, supplements and encouraging patients to taking personal responsibility for their health and they are booked solid for months in advance. Hmmm.. sounds like what our Naturopaths have been doing for decades These doctors are also recommending massage, acupuncture, yoga, Reiki and meditation. Interesting hey? So this week I want to let you know about a totally drug free approach to stress for VCE students. It’s actually fantastic for anyone but if you have a teenager who’s just started VCE you’ll know that these final two years of secondary schooling are the most stressful period of school that a student will undertake, even for the most capable students. Stress can not only compromise a student’s ability to achieve their full academic potential, but it can affect their health, their relationships with family and friends, and their emotional wellbeing, often well after Year 12 has been completed. PSYCH K changes beliefs, generally imprinted between the ages of 1 and 7, that are held in the subconscious mind and influence how we react to the challenges that are faced in life. These include the stress that students and parents face in the VCE years. 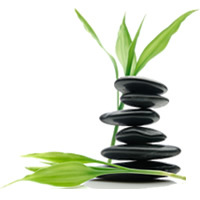 Simply Natural Therapies is very fortunate to have two qualified PSYCH K Facilitators – Tina Carr and Geoff Charles. So if your child is doing VCE, I highly recommend PSYCH K sessions for both you and your child with either Tina or Geoff. These sessions will reduce the stress load of VCE enormously, and allow it to be navigated with enjoyment, relaxation and acceptance of the outcome so you can all experience better health, well-being and contentment. I provide this testimonial with deep gratitude for the amazing work that Tina Carr did with my son in a PSYCH-K session at Simply Natural Therapies last year. My son was doing Year 12 and was suffering from severe insecurities, low self-esteem, lack of confidence and was experiencing high stress levels. Following an experience of being physically sick during a mid-year exam, he was placed under the care of the school psychologist. The school was very concerned with his wellbeing during exams and through the Victorian Tertiary Admission Centre (VTAC) arranged for an exemption for him not to sit the exams. His final mark would be based on his submitted work during the year. Following the session with Tina, I can only say that I have a new son. The change in him was miraculous. In the car following the PSYCH-K treatment he was happy, confident about sitting the exams and very chatty with me. He sat all the VCE exams with minimal nerves and applied for a job in a fast food outlet, sat the interview and was offered a position. Just amazing!! The profound change that Tina and PSYCH-K were able to create in my son so quickly, was beyond my expectations. I highly recommend PSYCH-K for VCE students, who are experiencing high stress and anxiety levels; feelings of being overwhelmed by the school work; feelings that they will not achieve the results expected of them and be a failure, and are lacking in self-confidence. Also PSYCH-K would be very beneficial for parents of VCE students who are also experiencing high stress levels with the demands of these years. ← If Not Drugs Then What?